Online videos are not just a source of entertainment but also act as means of marketing, education, awareness and much more. Videos are the easiest way to deliver your ideas. So the importance of a video website is undeniable. 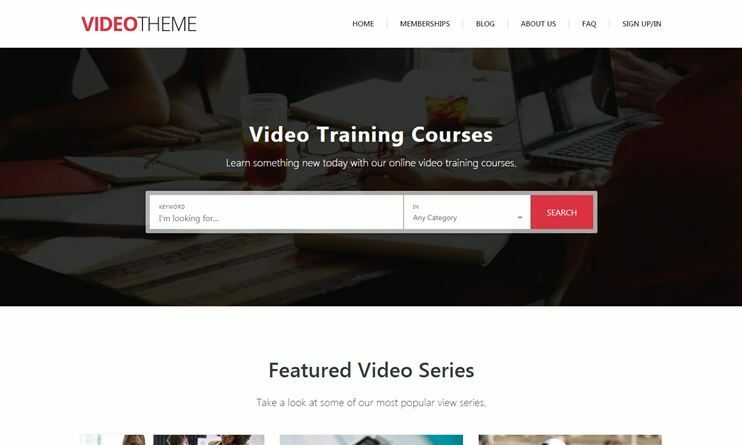 Here, we have a list of some of the best video WordPress themes of 2018, that you can use to create a website effortlessly. All the video WordPress themes in the article are customizable and easy to use. The themes allow video uploading/embedding. Some of the themes also have the feature of view counter and like/dislike videos. So, creating your video website with WordPress and one of this themes is really easy. 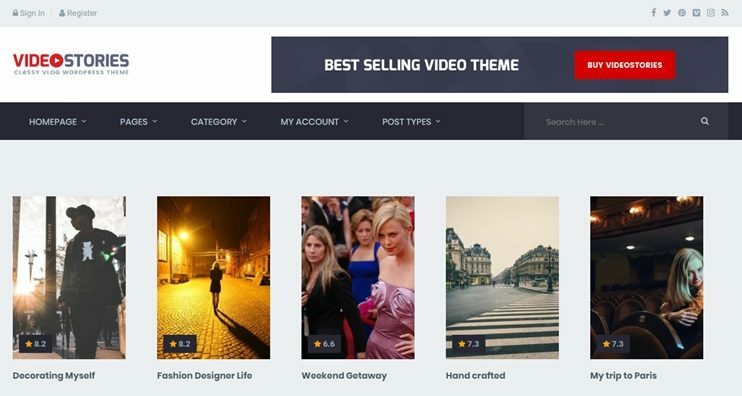 With these themes, you can create video portals. Where people can watch the videos or upload or embed videos. You can also create subject-based video website. For example, A video website with all the funny videos. Or a kids education website with video poems, alphabets, number and numeric tables. There are some themes in the list that are designed for films and television series. So, you can also use the themes for creating official video websites. The best thing about this themes is that for your website, you won’t need to hire technical persons. Even a person with no technical background can easily create and manage a website of his own. 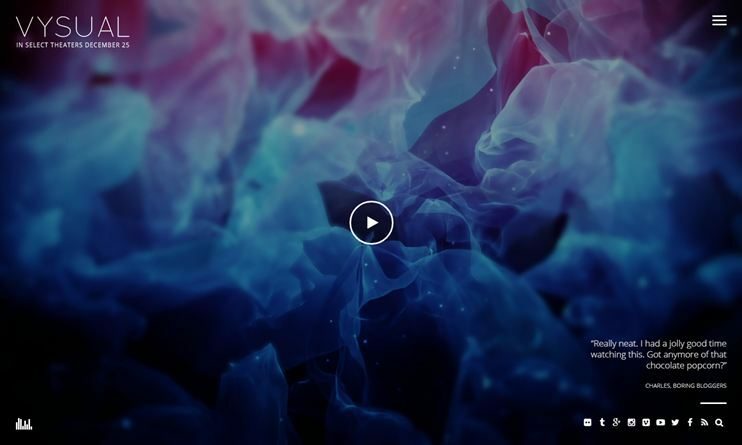 So, check out these amazing WordPress premium video themes and get started with your website. Now it's easier than ever to post and share videos from YouTube, Vimeo and dozens of other sites, with tons of features that will improve your traffic, minimize bounce rates, and much, much more! The Vivo video theme is a complete WordPress video directory theme. Highly customizable and flexible, you can use this theme Video portals, YouTube-like video websites, video/image galleries, or a video portfolio website. This Video theme supports front end video submission with a ready to use video submission form. Moreover, it comes with features like video sliders, dedicated mobile view, and some wonderful widgets. The Video WordPress theme is SEO friendly and supports WooCommerce. VideoPro - Video WordPress Theme. 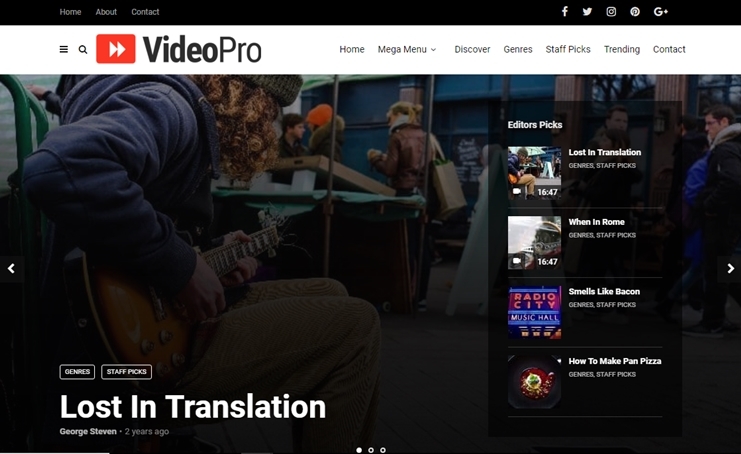 VideoPro as its name suggests is a multipurpose theme to create video-based websites. 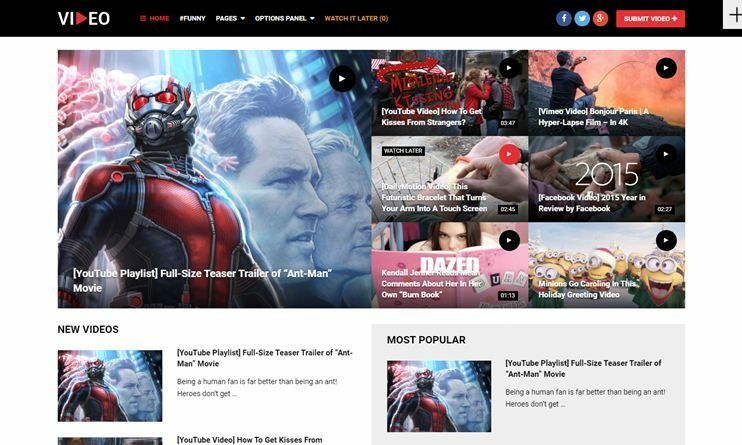 The theme helps you create any type of theme be it news, gaming, entertainment or blogging. 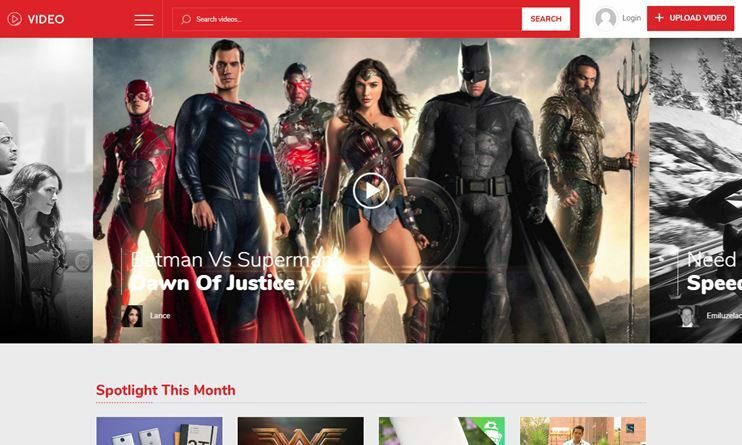 This theme supports the creation of websites that show your own video series, your video playlist. The theme also supports video links direct from Youtube, Vimeo, etc and embedded links too. This theme provides you with Live video layout and supports Affiliate links too. 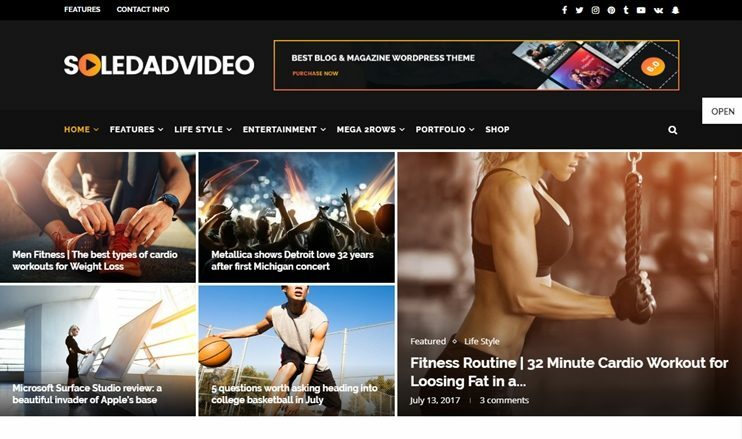 VidoRev is an upcoming and most popular Responsive WordPress Video Theme best suitable for video, movie, news, magazine or blog. With powerful features for Video, it will bring a whole new experience. This video theme is fully responsive and SEO ready. With this video theme, you can add sections using drag and drop page builder like Elementor. This Video Revolution theme is clean and well documented and easy to use.This video theme is best and have powerful features which brings a whole new experience. Betube is a powerful and responsive Video WordPress theme that focuses majorly on displaying videos. The theme have 25+ unique designs for HomePage to choose from. This theme allows you to create Video theme with Elegant full page sliders as well as with advanced feature. The Betube is the answer to your question if you want to create a marketplace that is secure and futureproof. This theme allows users to post videos from the front-end. It is packed with feature such as Floating Video player. This theme includes Video Advertiser plugin that lets your advertise play first has the video, builtin widgets for videos that helps to make your website eye-catching. Video Touch is a full fledged video WordPress theme to create video websites in 2018. It is easy to use and highly customizable. With this theme, you can create a video website that displays self hosted as well as embedded videos. This theme supports WooCommerce for ecommerce features. It also allows front end submission of videos. You can create and edit page layouts with drag and drop layout builder. It is a highly customizable theme. So, personalizing the theme to match your branding won't be a problem at all. MagPlus is a Blog and Magazine WordPress theme that is Fully Responsive with Visual Composure and Live Customizer. This theme have a Library with tons of Elements for you to use. Premium plugins such as Yellow Pencil pro, Viral Quiz, Social Jumbo Pack which are included in the theme for free. This theme uses Shortcodes too which makes the creation easy for the user. This theme takes into consideration SEO and it also provides compatibility for ecommerce with Woocommerce plugin. 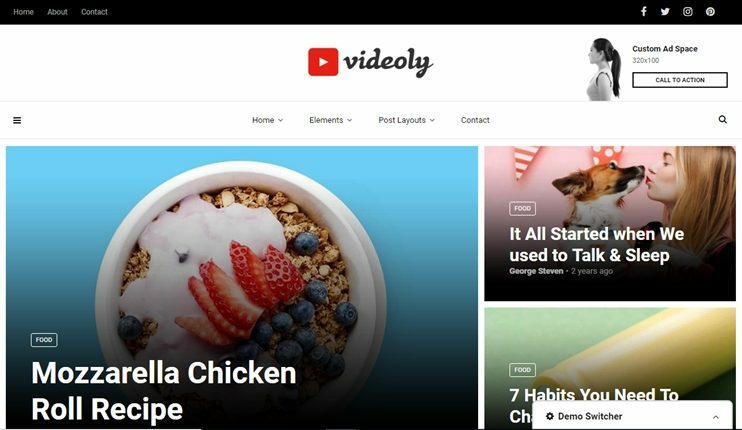 Videoly is a WordPress theme that is especially made for Video Bloggers. This theme has 9+ beautifully crafted and ready-made templates. This theme also provides you with the Google Font Options to use from more than 500+ fonts that are rendered really fast too. The Videoly theme is SEO optimised as well as it is Retina Ready which makes it compatible with every browser and every devices available. This theme includes Social Sharing option which let you be connected to your social accounts through Video sharing. This Video theme includes powerful Admin panel, unlimited Sidebars and Shortcodes too. 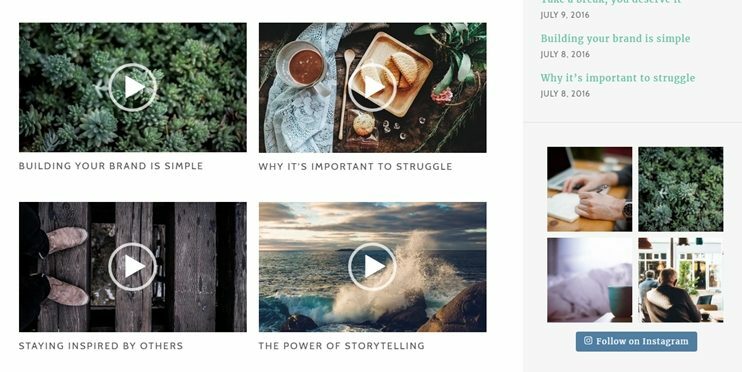 Truemag is a video magazine wordpress theme. It comes with advanced features for a complete video magazine website. It can also work as a video portal, video portfolio or a video blog. This theme takes care of SEO. 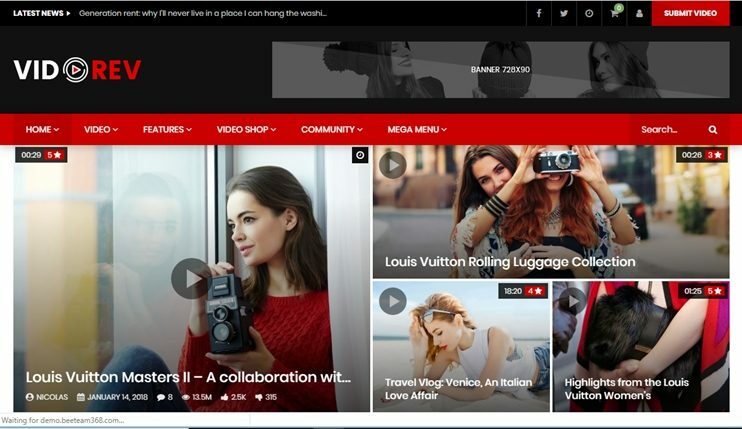 Truemag has this feature to let you create a video channels. Just like we have channels in YouTube, your website can also have channels. The theme accepts embedded as well as self hosted videos. It allows compatibility for ecommerce with the WooCommerce plugin. The theme also allows BuddyPress as well as bbPress. The theme has an inbuilt feature of video's view counter and rating system. 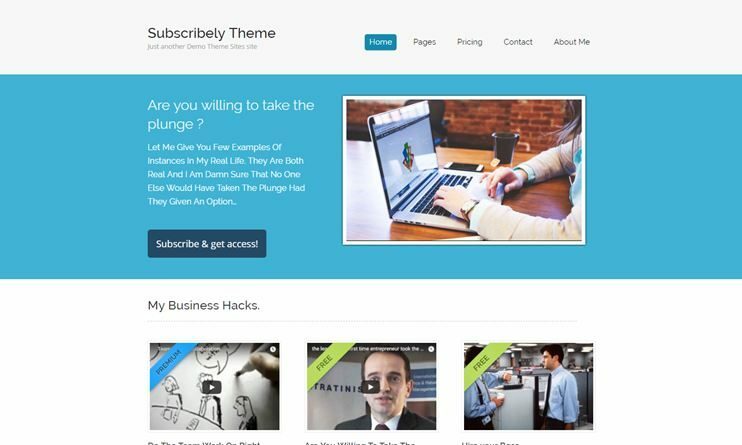 Sell your content with Membership WordPress Theme. Content here means membership videos, E-books, Articles, Reports or any other premium content. You can create your sleek professional site in just few simple steps. Impressive element of the theme include Ink Member Plugin, this plugin helps you in protecting your premium content plus auto tagging of free and premium content, collect payments i.e, lump sum or on the recurring basis, multiple currency support, and you can fix days of payments which will add as a reminder to you. Another ruling feature is Pricing Table Plugin, settings available are You can add Plan Name/Pricing/Plan Features/Button Text & URL. Video world is a clean and modern WordPress theme for videos. It is a simple but includes all the desired features for a video website in 2018. The theme comes with streamlined theme options to avoid confusion. The theme is SEO optimized and WooCommerce ready. It is supports multisites. This is a simple theme designed carefully with the options that make it extremely easy to use. It focuses on the main feature - displaying videos and that's all. Vysual is a theme for filmmakers and video bloggers. The theme is specially designed for films marketing. The are best fit for creating official website of a film or television series. This theme supports self hosted as well a embedded videos. Vysual is easy to use and highly customizable. The theme is further beautified with the jQuery animations. The theme is really easy to use and maintain. Easy to setup and customize. The producer is a theme for film studios and official movie websites. The theme can be used to create a website for a production house, movie or a television series. It is a custom designed theme for movie/film centered website. The theme focuses on videos. You can choose from the dark or the light version of the theme. The producer is easy to customize and maintain. 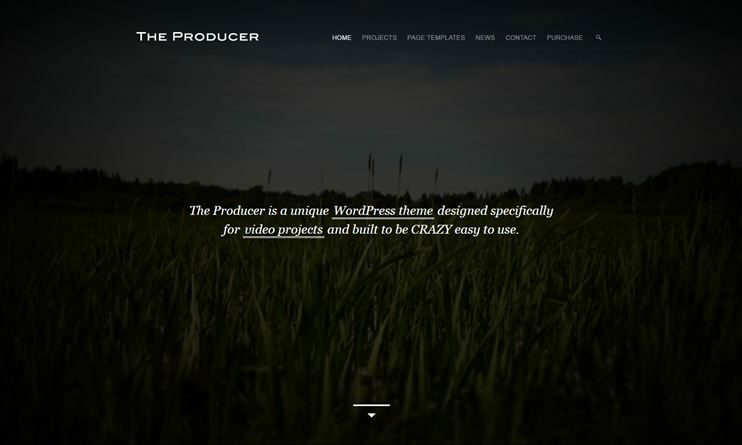 If you are looking for a WordPress theme that shows details of your production house along with the videos of your films, this theme is for you. 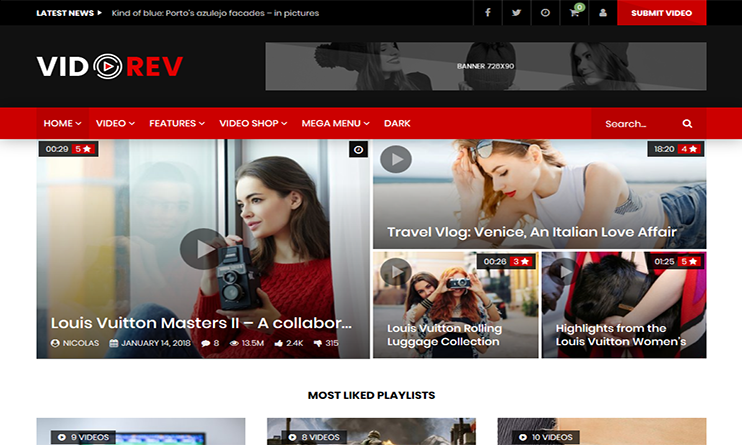 Videoz is one of the simple Video WordPress themes of 2018. It can be used to create a video blog, review, and video tutorials. The theme has a simple and modern design. You can choose from the 3 skins for your website. It supports WP Postratings plugins for ratings on your videos. With the shortcodes and theme options, you can make your website look and behave exactly how you want. 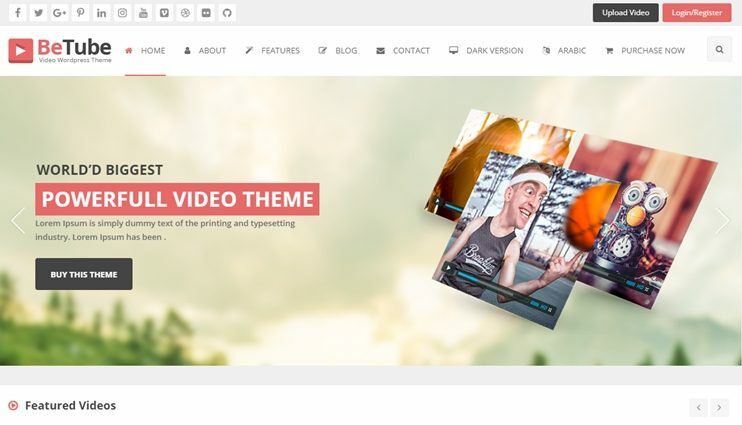 If you want to create a video website just like YouTube, consider this theme. 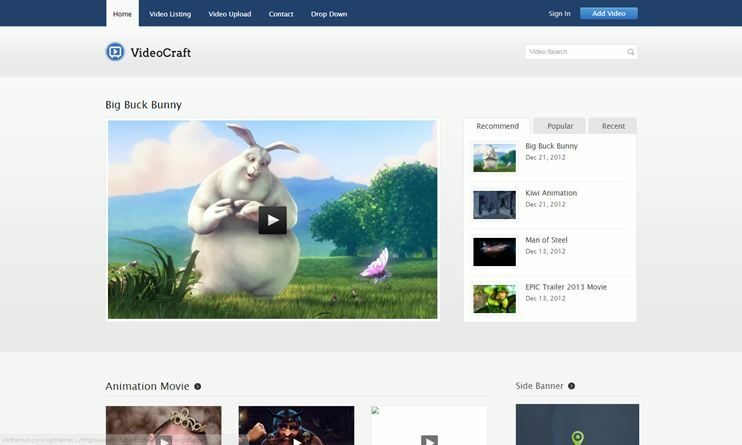 VideoCraft is a feature rich and flexible theme. It can be used as a simple video blog theme or a video portal website. You can upload your videos or embed from YouTube. VideoCraft allows front end video submission. The user can register and upload videos on your website. You can monetize the website by displaying advertisements. This theme is extremely easy to use. Easy to customize and easy to use. With Video WordPress theme you can create your own video hosting website effortlessly. It allows front end submissions. You can create price packages and charge your users for submitting on your website. With this theme you have unlimited design options. You can choose from the demo sites. You can customize this design with the help of the available customization options. The theme comes with more than 10 demos with more design opportunity. It allows compatibility with most of the popular utility based plugins. 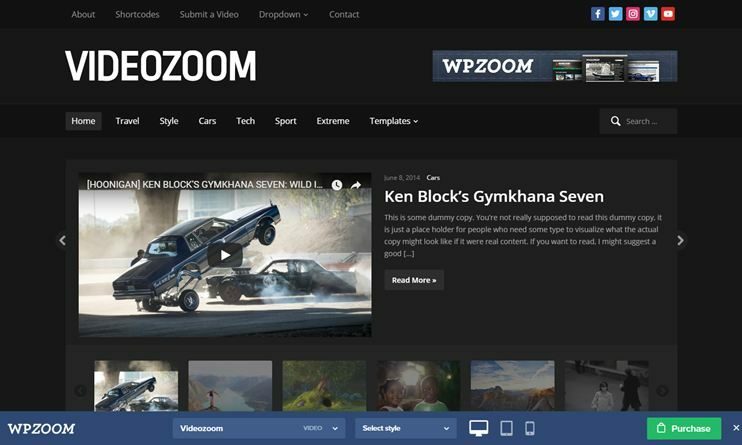 VideoZoom is a Video WordPress theme. The theme allows easy video embeds. The theme is easy to use and comes with options for customization. It can be used to create video portals, video blogs or subjective video website. Highlight your videos with the full width video posts. It is easy to customize. This theme is SEO friendly. With this theme you have a video slider and generates automatic video thumbnails. For ecommerce features the theme allows WooCommerce. 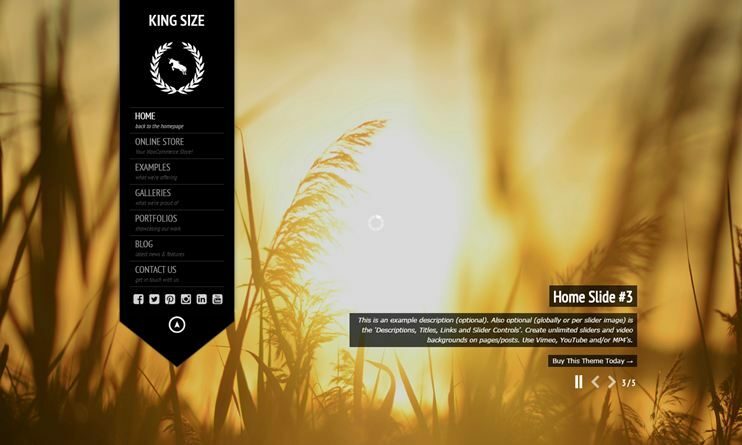 KingSize is a multi purpose theme for photography. Along with the photographs you can even display videos. This theme allows full screen video or image background. Create page designs of your choice with the drag and drop page builder. The theme is highly customizable. You can use the WooCommerce plugin for ecommerce features. It is also compatible with the Easy Digital downloads for selling graphics on your website. This theme allows you to upload your own videos or embed videos. Create pages with the drag and drop page builder. You can use the WooCommerce plugin for ecommerce features in your website. 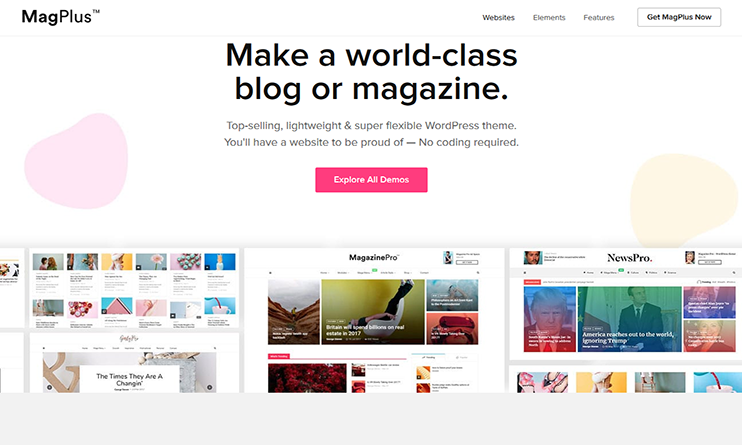 The theme lets you choose from the blog layouts. It is SEO friendly. It also supports BuddyPress. Video is a video blog wordpress theme. It is a performance oriented and speed optimized theme. It is completely feature packed and a flexible theme. The theme is optimized for perfect videos. It also has a "watch it later" feature where the users can save a video to watch later. Users can like or dislike videos. The theme also allows view counts to show the number of times the video was played on your site. The theme has a special post format for videos. It is SEO ready. The theme has a clean and well commented. 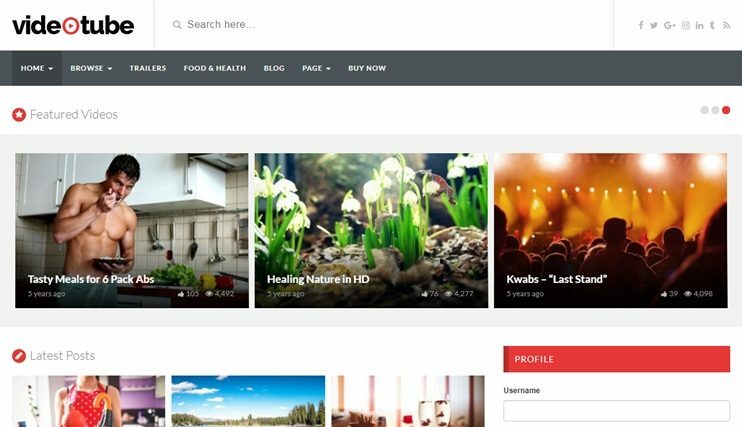 Vlog is a popular Video Blog/Magazine WordPress Video Theme best suitable for videography.This video theme is best and more suitable for video-blogging and compatible with YouTube,Vimeo and Dailymotion content to make a beautiful content to your site. This video theme is clean and well documented and easily customizable and no special coding is needed.Vlog is well optimized and SEO friendly.This theme is very much responsive and have multiple layouts that you can choose from to design your own video template. 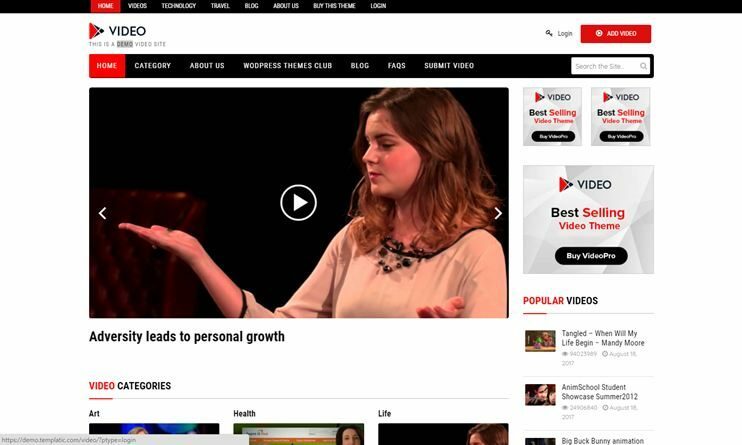 TheMotion is a WordPress theme that is dedicated to video blogs, tutorials, and lessons. It is an E-commerce compliant theme that has woocommerce as the platform.TheMotion's neat and clean presentation will help your sales and make your store accessible to everyone. No coding skills required.With features including translation, RTL ready, SEO friendly that lets your site being listed and easily searched in the Google search engine. Mega Menu that makes it easy for your submenu content to be organized. 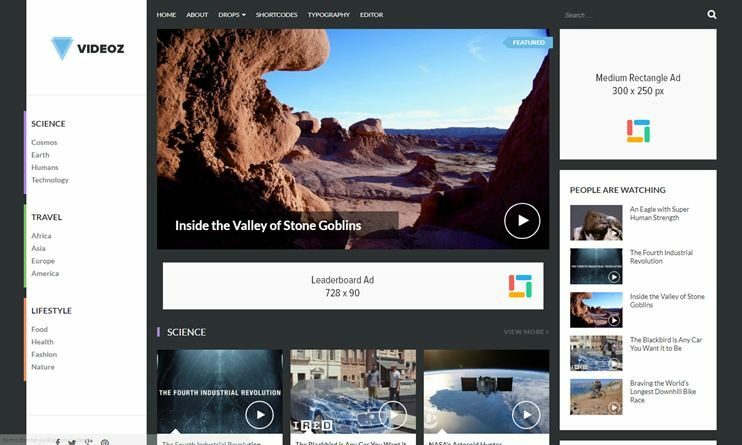 VideoTube is a fully responsive WordPress theme for videos. This theme gives you the freedom of showing unlimited videos in a single page with the Infinite Scrolling Template. This Video WordPress theme allows you to upload your own video or embed videos from popular video sites such as YouTube, Vimeo, etc. This theme allows Users to upload their own Videos and even let them create their Own Channel. VideoStories – WordPress Video Theme. VideoStories is a WordPress Video theme which is suitable for Movie or Video marketers, Youtube users and Vloggers. This theme is developed with lots of functionality which helps you easily create pages from templates with RTL functionality inbuilt. 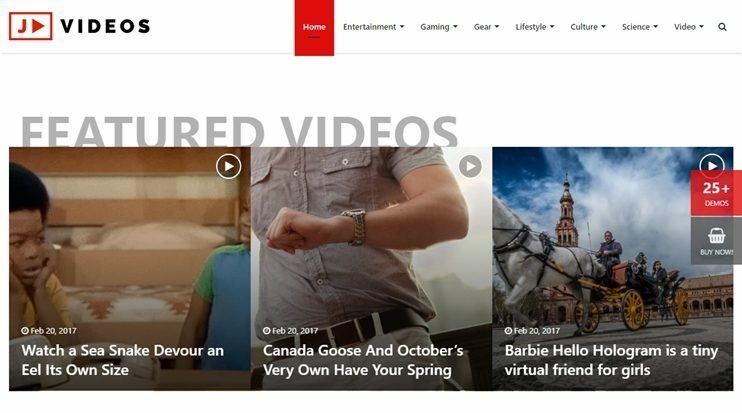 The Video Stories WP theme gives you 9 Homepage variants, Rich Snippet which helps Google generate best preview audience. This theme comes with SEO functionality. This theme gives a chance to Affiliate marketers to show popup when they want. This theme gives you a feature-packed tool IMDb grabber which will generate data in just one click. Jannah a WordPress theme mainly for Content Marketing for News. This theme comes with Gutenberg which lets you modify and customize your site with the help of blocks as well as Drag and Drop functionality. The Jannah theme lets you upload your own fonts to support the new languages that the theme has introduced. This theme is Fully Responsive as well as Retina ready that supports every device your wish to show your website on. This theme gives you many Header options as well as Mega menu support to show your submenus in a proper way. Theme’s interesting feature is that it also supports web push notifications so that your users stay up to date. This theme also supports BuddyPress. The Passion is a Multipurpose WordPress theme for Movies, Videos as well as Music. This theme is SEO Optimized and WooCommerce Ready. The Passion theme is created with the focus on Entertainment folks. The possibilities with this themes are endless. This theme comes with different demos to choose from. This theme have Child theme support, Mailchimp ready. This theme comes with complete Social Integration. The theme comes with Powerful Theme options, 700+ Fonts availability, Amazing Gallery variants. 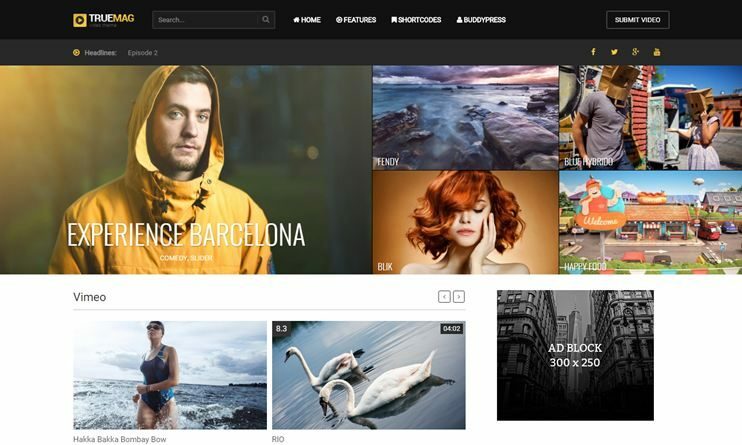 VidoRev is a powerful WordPress theme that has new features to give a whole new experience. This theme is integrated with BuddyPress and comes with eCommerce features of WooCommerce. This theme includes Paid membership Pro Plugin. The theme comes with the functionality of Social Locker, Youtube Live Broadcast, IMDb rating plugin. This theme is compatible with WPML plugin as well as have RTL functionality. These were some of the best WordPress themes for video websites in 2018. We've just mentioned a few important features of each of the themes. You can visit the sales page and find out complete details about the theme. As mentioned earlier, the themes are extremely easy to use and manage. So, try your hand at website building. Choose the best theme for yourself and get started with your website now.